How's the Chicago Real Estate Market? How's the housing market in Chicago? We get asked this question multiple times per day, which is why we provide you with this valuable data for free, and is updated every week on Tuesday. This Executive Summary report can be customized by specific zip code and sent directly to your inbox by subscribing below. If you want a more a more in-depth six-page Market Update, please make a note in the comments. 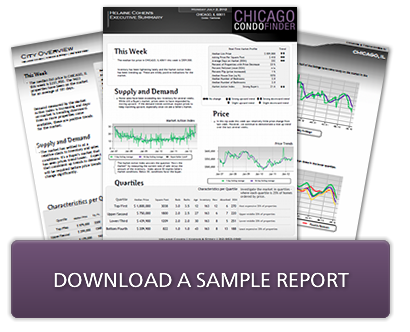 Subscribe today and you can receive these valuable Chicago market reports immediately! Want more information about the Chicago housing market? Contact us today at Chicago Condo Finder.